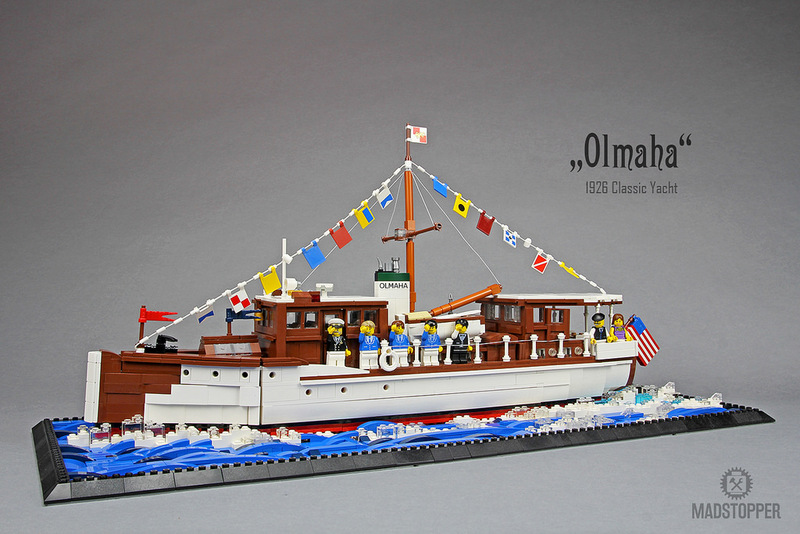 The 1920s witnessed the birth of some beautiful boats, such as the Olmaha, built by J.M. Martinac of Washington state in 1926. Markus Ronge has artfully recreated this classic yacht with impeccable detail, complete with convincing curves from bow to stern. In the cabin, 2×2 “crate” pieces have been used to great effect and give off the impression of ornate woodworking. The surrounding waves feel organic, and I love the way Markus has used white bricks to form the ship’s wake. 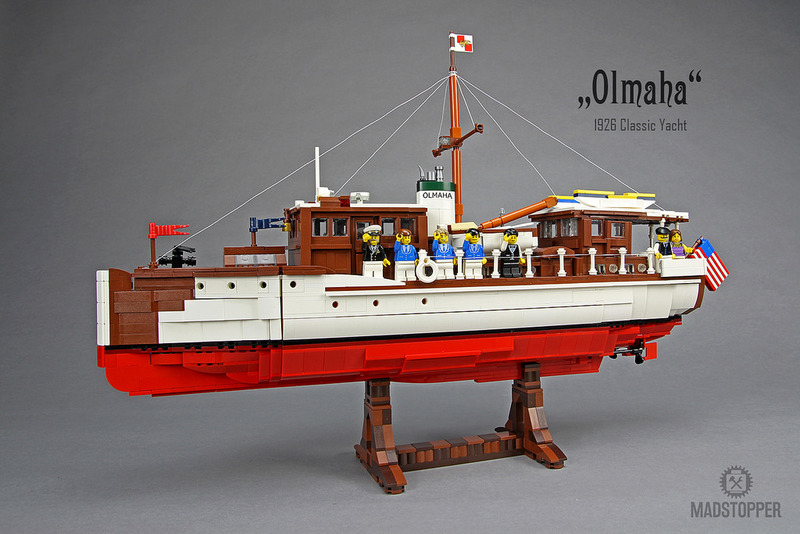 When not in the water, Markus props the Olamaha up to show off its bright red hull.